Thank you for your continued & appreciated support. 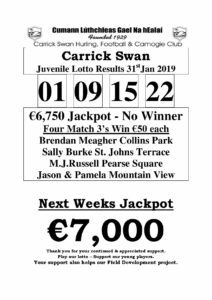 Play our lotto – Support our young players. Your support also helps our Field Development project.